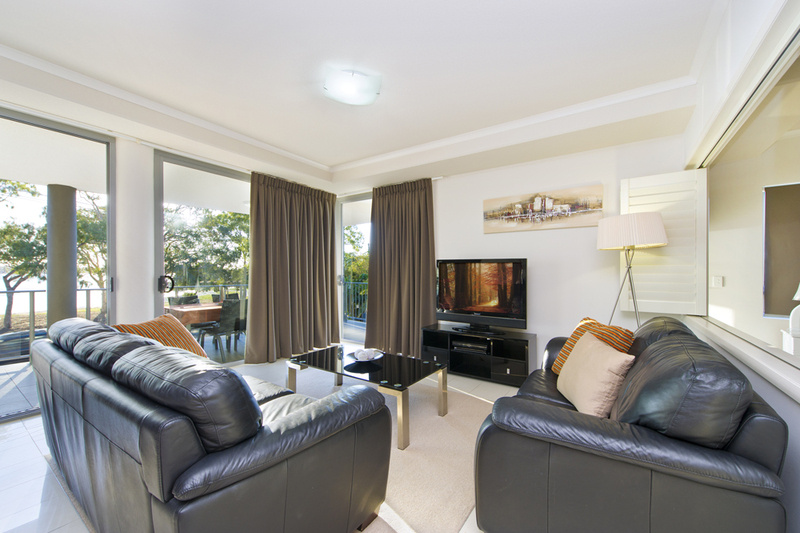 Whether you are a business traveller, family and friends spending quality time together on a Bribie Break, or a bride celebrating one of the most important days of your life, our fully self-contained 1, 2 and 3 bedroom holiday apartments, are sure to provide all the comforts you would expect from your home away from home. Our spacious residential-style apartments feature fully equipped kitchens leading to open plan lounge, living and dining. Sliding glass doors open to generous-sized balconies with most offering water views and cool sea breezes. Modern appliances including fridge/freezer, cooktop, oven, microwave and dishwasher together with crockery, cutlery and cooking utensils, provide convenient, self-catering options. Each apartment has a fully equipped laundry with washing machine and dryer. 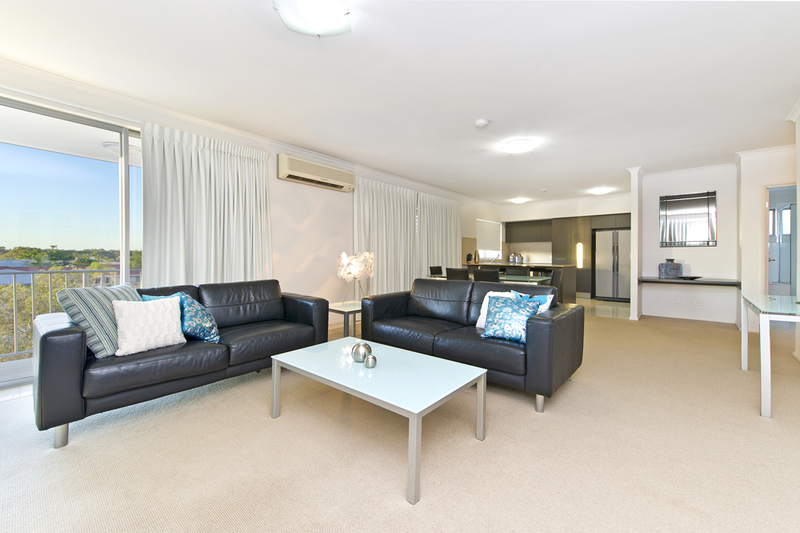 All linen and towels are included, and apartments are serviced mid-week for stays longer than 8 nights. Visit our FAQ’s, Terms and Conditions, or Contact Us for further information. 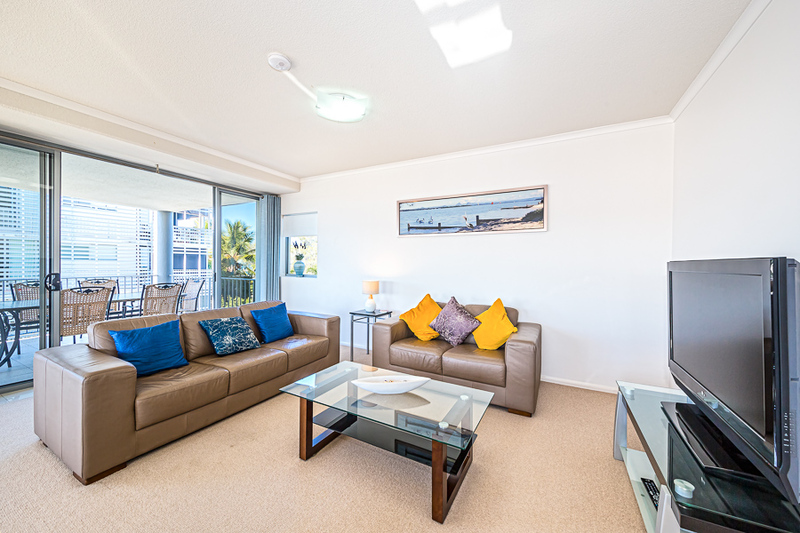 One Bedroom Apartments (85 m2) provide spacious accommodation ideal for one or 2 guests. Queen bed and ensuite bathroom. Two Bedroom Apartments (100m2) provide spacious accommodation ideal for families or friends travelling together. Two queen beds OR 1 queen bed + 2 single beds (on request; subject to availability). Ensuite + main bathroom. Three Bedroom Apartments (121m2) provide spacious accommodation ideal for ideal for families or friends travelling together. Two queen beds + 2 single beds. Ensuite + main bathroom.